Technology has forever changed the world we live in. From smart phones to solar panels, our lives are infinitely more connected and convenient – thanks to the vast array of gadgets and appliances available at our fingertips. Whilst it’s true that these devices enrich our lives in many ways, mounting evidence warns that our prized possessions could also be double-edged swords providing convenience at the cost of our health. But why the concern? 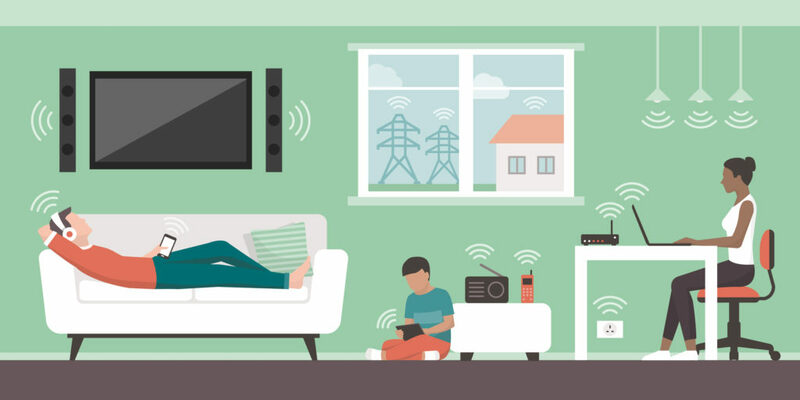 Beyond the negative impacts on mood and social connection arising from excessive digital technology use, our devices and appliances also emit a low level of radiation, called electromagnetic fields (EMFs). Similar to when a pebble is dropped into still water, EMF’s produce small, radiating waves of energy into their surrounding environment, which have been shown to disturb cellular health. Similar to when a pebble is dropped into still water, EMF’s produce small, radiating waves of energy into their surrounding environment, which have been shown to disturb cellular health. So, as our use of technology continues to grow, so too does the concentration of these electromagnetic waves, and the call from health care bodies to establish preventative measures against excessive EMF exposure. Preventing excessive exposure to EMFs is important, as in high enough concentrations, exposure can increase the production of reactive oxygen species (ROS). ROS are unstable molecules that cause cellular and DNA damage, which in turn can lead to tissue damage, cellular dysfunction and inflammation. Increased EMF exposure has been linked with the development of tumours, cancer, Alzheimer’s disease and reproductive issues; highlighting how these invisible disturbances can have wide reaching health effects. This is evidenced by studies that also show 3% of individuals have a severe reaction to EMFs, which manifests symptomatically as sleep disturbances, headaches, fatigue, anxiety and poor concentration that worsen with unmanaged EMF exposure. The same symptoms, with reduced severity, can also be experienced by people exhibiting a mild or moderate reaction to EMFs, however, specific rates of occurrence are yet to be quantified. It appears that sensitivity to EMFs is influenced by factors such as age, history of exposure, genes that govern detoxification capacity and the stress response, and an individual’s overall health. Electrocution resulting from occupational exposure or being stuck by lightning. Based on the above list, what would you estimate your level of EMF exposure to be? Increasing your antioxidant intake to combat any ROS that are produced with exposure i.e. 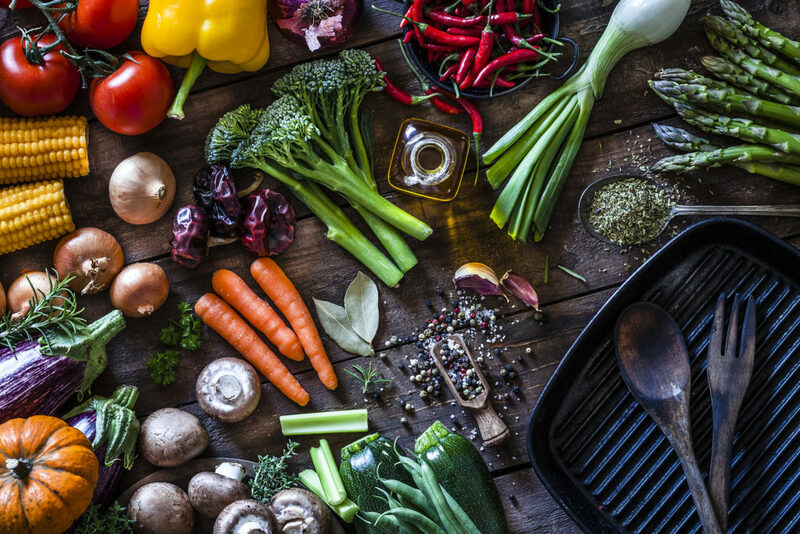 consuming colourful vegetables, herbs and spices such as ginger, turmeric and rosemary, and increasing zinc, selenium, vitamin C and vitamin E rich foods. With the above in mind, it’s worth taking a moment to consider if the EMFs in your environment could be impacting your health. Perhaps trialling a period of EMF minimisation could help determine if you feel better with reduced EMF exposure? However, despite the widespread use of technology, there are still many ways you can proactively balance your technology use with minimising EMF exposure. By modifying and detoxifying your environment, you can balancing the benefits of a hi-tech life with your highest level of health! Belyaev I, Dean A, Eger H, Hubmann G, Jandrisovits R, Kern M, et al. EUROPAEM EMF Guideline 2016 for the prevention, diagnosis and treatment of EMF-related health problems and illnesses. Rev Environ Health. 2016 Sep 1;31(3):363-97. doi: 10.1515/reveh-2016-0011. Ruth is a passionate and experienced Practitioner who has a strong background in research and evidence-based clinical practice. Ruth’s recent experience includes two years of Naturopathic practice working with Dr Jason Hawrelak within a holistic medical apothecary and clinic in Tasmania. Her particular fields of interest include treating children, women’s health and gut health.